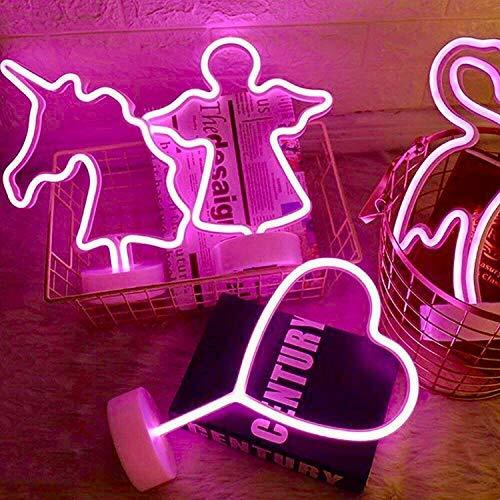 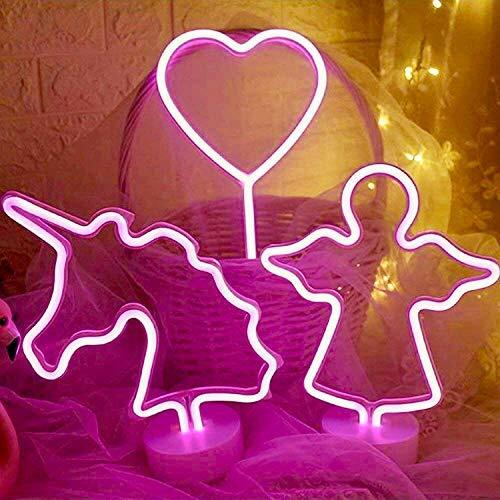 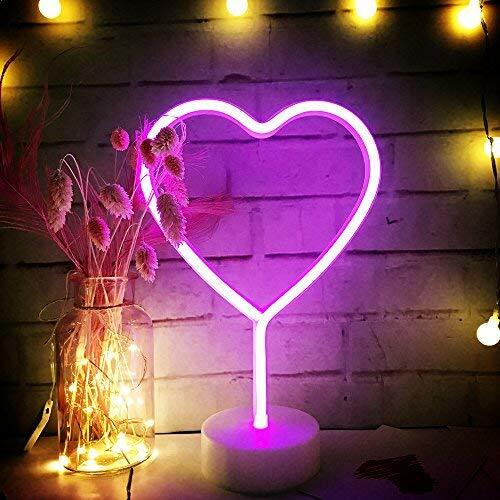 ✔UNIQUE DESIGN & APPLICATION: Pink Neon HEART SIGN decor light,is a perfect decoration for home, bedroom, living room, balcony, balcony window, office room, children's room, restaurant, porch, pavilion, shelf, for parties, birthday parties, wedding ceremony, dinner party ,and it's a PEFECT GIFT for Valentine's Day, Kids or Ladies In Christmas,New Year,Birthday,Party,Performance,Special Occasions, Etc. 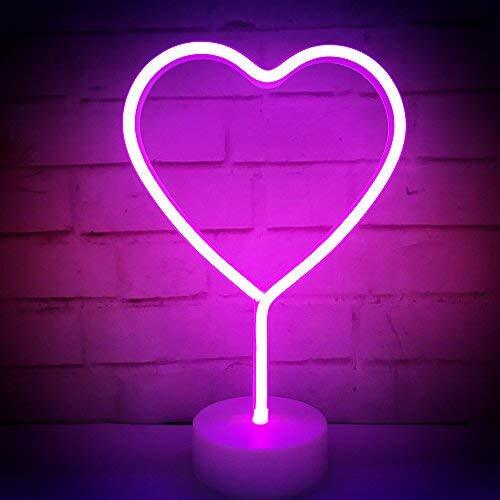 ✔NEW DESIGN TO BE PLACED:There is a base under the lamp, you can place it on the table stably.Cordless light up,fast and easy to install,brightens up your room or celebrations.QiaoFei HEART neon sign is the ideal eye catching addition to your party or home table or room, with the comfortable mood light ,a wonderful neon art light to replace the boring desk lamp and add color to the darkest room. 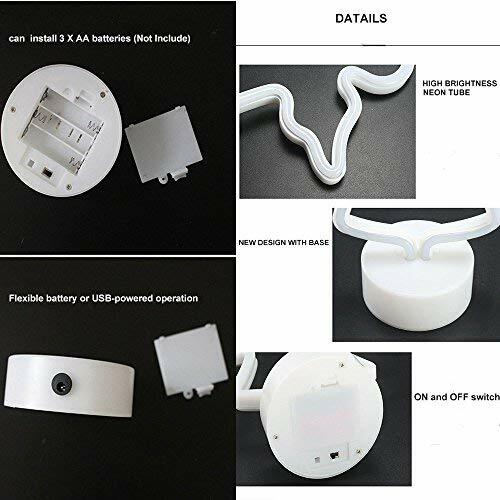 ✔BATTERY or USB CHARGE OPERATED: 3 AA batteries power supply (batteries not include ) and USB power supply.Without bulbs, low energy consumption.Long lifespan,provide low energy consumption while enhancing your festival cheer and produce no heat after long-time use. 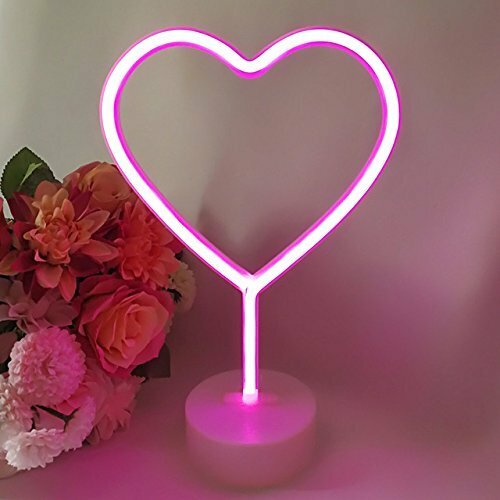 ✔SIZE approx: 11.81 * 5.91 * 3.94in,Plastic + Silicone material exterior, sturdy, lightweight, corrosion-resistant & durable (not easy to break down) - Comes in a gift box, ready for gift giving to colleagues,friends,kids and loved ones. 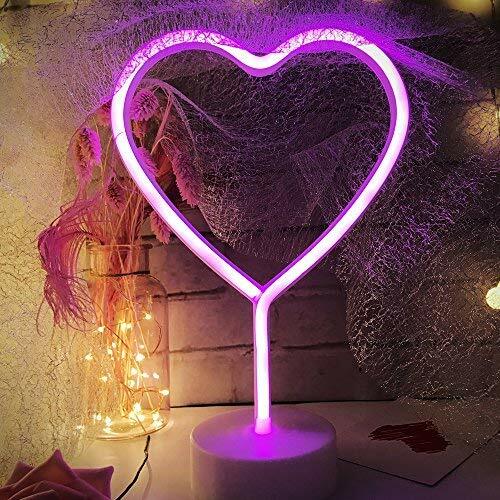 ✔DEVOTED CUSTOMER SERVICE - Genuine QiaoFei home LED light products - comes with 1-MONTH FREE TRIAL & FREE life time customer service - You can always come to us for free customer service any time.